sins. Because I always sin, I should always have a remedy. love may be granted to us by the coming of the Holy Spirit. for us, and to be ourselves as crucified to the world. . . .
preserves us from future mortal sins. who are in full communion with the Church. The unity of the Mystical Body: the Eucharist makes the Church. Those who receive the Eucharist are united more closely to Christ. we have been called to form but one body. 4, 6, 28: PL 16, 446; cf. 231 Cf. 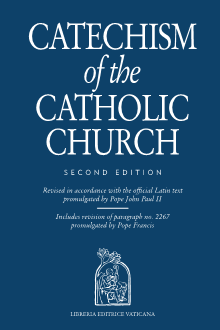 Council of Trent (1551): DS 1638. 28, 16-19: CCL 19A, 813-814.